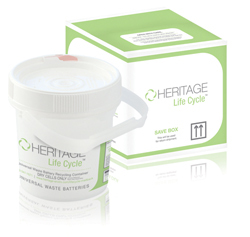 1-gallon pail for dry cell batteries excluding Lithium batteries (UN Rated). Batteries must be whole and intact. DO NOT MIX Lithium batteries with any other kind of battery in the same container. ALL terminals of the batteries must be taped or secured to prevent contact. 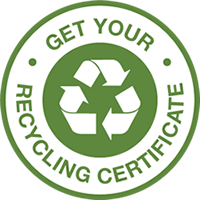 Kit includes locking container, liner, instructions, shipping to your facility and prepaid return shipping and recycling. Sale of this item prohibited in ME, AK, PR, and HI. Maximum gross weight of bucket is 10 pounds. Acceptable Sizes: AAA, AA, 9 volt, C & D cell, Lantern, pen light and button style.